Word clouds, or tag clouds as they are sometimes called, bring words to life in a visual way. They constitute graphical representations of word frequency that give greater prominence to words that appear more often. These words can be taken from an analyzed text or added manually. The more a word appears or is imputed, the larger it will be in the cloud. Best of all word cloud generators are easy to use and there are a variety of display features that can be used for aesthetic appeal. 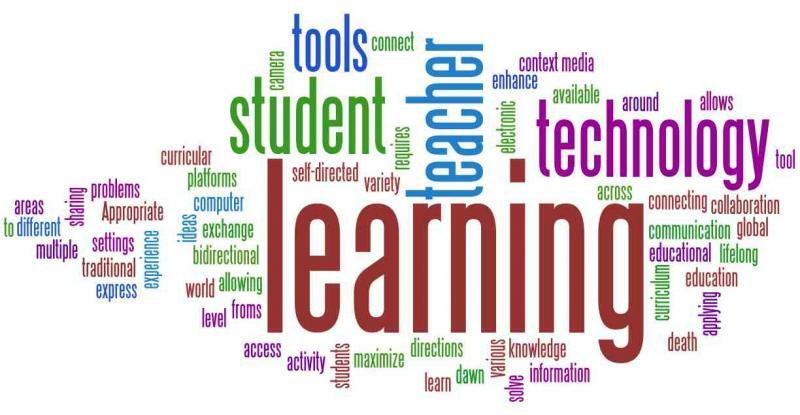 For years word clouds have been fan favorites of teachers and administrators alike. These early web tools burst on the scene to provide new avenues to engage students and stakeholders. Over the years these tools have been used to increase student engagement. From a pedagogical sense they can be used as part of an anticipatory set or as a means to review prior learning, check for understanding, and close a lesson. They can also be used more broadly as part of a larger student project to assist with making their learning more visible. Even though words clouds are used as a pedagogical strategy in class their true power lies in their ability to communicate ideas at a glance. They can be used to highlight successes and achievements as well as articulate how stakeholders feel about our schools and districts. There are many other benefits of using word clouds in general. They are relatively easy to comprehend, can provide clarity on overreaching ideas, and are easy to share across digital networks. It is no wonder that these tools have been embraced in education and business. Herein lies the problem with tools like this. For starters they are openly referred to as toys. The second issue stems from the fact that the cloud itself is created in a relatively low-level way when it comes to thinking. All one has to do is input words and paste text to create a cloud. My issue with Wordle and Tagxedo is that little to no critical thought is aligned to what could be a powerful way to aid in conceptual mastery. This is not to say that word clouds can’t be used to support higher order thinking skills. The key here is to begin to look beyond traditional tools and begin to integrate those that allow students and stakeholders alike to respond to open ended questions. Enter Mentimeter and AnswerGarden. Both tools can be used for formative assessment. Responses to an open-ended question of your choice can be used to create a word cloud. Each is simple to use and will only take minutes to set up. With Answer Garden all responses form a growing word cloud, which can be exported to Wordle or Tagxedo if you wish. You can even set up an administrator password to remove inappropriate responses. When setting up Mentimeter there are seven different question types to choose from, one of which is a means to have answers curated into a colorful word cloud. It even has a profanity filter. With all the tech tools integrated in schools we need to also be more mindful of the questions to which we ask our learners to respond. Let’s move away from the use of toys to support low-level learning and begin to integrate the power of word clouds to support high-level learning. 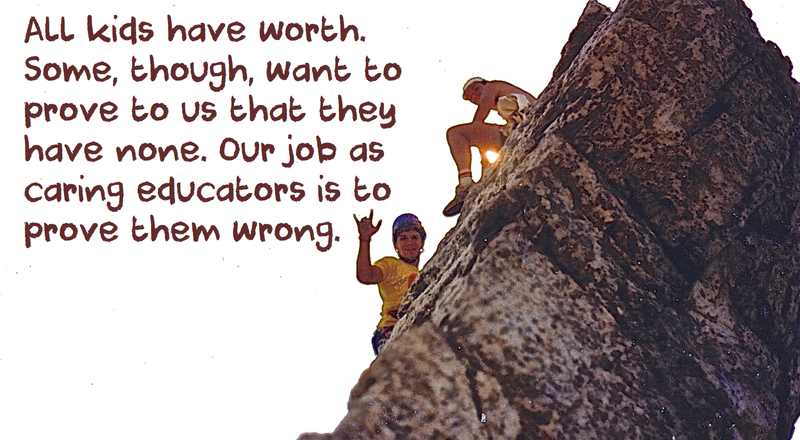 Make no mistake about it; the job of any type of educator is tough these days. It is a rewarding profession in that we have the opportunity to make a positive difference each day, but for all our efforts, thanks and appreciation are tough to come by at times. The fact that many countries don’t value the honorable work that is done in classrooms and schools is a tough pill to swallow. Throw in the endless array of mandates, directives, and time dedicated to the job and many would question whether it is even worth it to go into the field of education these days. "The negativity bias is a tendency to have greater sensitivity to negative than to positive events. Some researchers posit that, psychologically speaking, negative events weigh close to three times more than positive events. While this bias may serve us in situations related to survival, it can cause distress in everyday encounters. So the question becomes: How can we topple this negativity bias?" With all the challenges you face each day know that your work and compassion is needed more than ever. Watch this video below. Put yourself in the role of the storeowner and the child as one of your students. The video above exemplifies how important educators are. Even when times are tough know that your work matters to those who we serve. Whether you realize it or not, the payoff of your dedication and commitment might not bear fruit for many years. Even in trying times take solace in knowing how you impact kids. It is in our nature to focus on the negatives, but you work too hard to allow yourself to fall victim to this psychological trap. It is all about the power of YOU! You have the opportunity to positively impact the life of a child every day. If you care enough, change can and will happen. You are the difference maker. Reach for the sky and experience your potential. Reach for the stars and discover unlimited potential. You CAN usher in bold ideas for a new future. Believe in yourself and help your colleagues do the same. Never underestimate the profound impact you have on your students. Thank you for all that you do. Our future is bright because of YOU! We are in the midst of disruptive change that is engulfing our society. The second we get a grasp on a new technology there is an update, new version, or something entirely different. It is an exciting, yet terrifying time as many of us just try to keep up. This is the new normal in our world and advancements in virtually every field and profession will continue at an exponential rate. As educators you don’t need to like technology, but you do have to accept it. The reality is that not just technology, but an array of innovative ideas, are constantly at our fingertips. The disruptive changes we are seeing provide an opportunity to reflect on what we are in order to help better determine where we want to be. Taking all of this into account, how well are you meeting the needs of today’s learner? I ask this question in virtually every workshop I facilitate. The responses run the spectrum from not very well to some pretty innovative ways. Overall many schools, administrators, and teachers are quite content with where they are currently at in regards to meeting the needs of learners in the digital age. Make no mistake about it, real change is happening in many schools, mostly in the form of isolated pockets of excellence. The question above provides a great initial point of reflection as to where you are at with your change and transformation efforts. However, it falls short in terms of determining how well we are really doing as we are jaded by our own perception at times. Even though we might think we are doing a great job this might not be the reality of the ones we serve. The real question to drive meaningful change in our schools is asking our students how well we are meeting their needs. It is important to at first listen and then begin to take action on some of the thoughts and ideas they provide. They are, after all, our number one stakeholder and true boss. If you want real change engage your learners in critical conversations about your school, district, or classroom experience. Even if you are integrating all of the latest technology, chances are teaching, learning, and leadership have not changed to allow for a transformation of school culture. Continue these conversations with your students throughout the school year by making it an embedded component of your professional practice. It will be difficult at first to hear from your students some of the issues that they have with the learning culture at your school. Over time though the relationships that are built through this honest dialogue will help drive the right changes that are needed. For more tips on how to engage others in critical conversations click HERE. There is always a great deal of discussion about change in education in order to better prepare students for success. The stakes have become higher as changes in a globally connected world are far outpacing those in our schools. The proliferation of technology in the world is making it much more difficult to engage our students. This is not to say that meaningful, impactful changes are not evident in schools across the globe. Through my work, I have seen in person, and through social media, some amazing examples of what education can and should be. However, these cases tend to be isolated pockets of excellence as opposed to systemic transformation evident across an entire system, district, or school. It’s not just advancements in technology that have to be addressed in our schools. Other elements embedded in school culture cloud our vision as to what is both needed and possible. Issues such as the status quo, traditions, mindset, fear, apathy, funding, infrastructure, and time seem to consistently rear their ugly heads. These real challenges morph into excuses that ultimately inhibit the change process. Every single school on this planet deals with these challenges and many others on a daily basis. The good news in all of this is that they are not insurmountable. If you feel it is important, you will find a way. If not, then human nature will take over and you will make an excuse. The process of change is driven by a desire to focus on solutions rather than excuses. Now here’s the thing with change. It is not easy. Nor will it happen quickly. Sometimes the best examples of sustainable change have resulted from a more organic approach. The ability to initiate, manage, and sustain change relies on a leader’s ability to think of it as a process as opposed to an event. This takes vision, planning, patience, and perseverance. If sustainable change is the goal, it is important to clarify the what, why, and how followed by a determination of success. Why does change not work? Why has it failed in your school? What are surrounding schools doing? Are we meeting the needs of our students and preparing them for their future? This is where you need to roll up your sleeves and be prepared to get dirty. Change rarely succeeds through mandates, directives, buy-ins, or unilateral decisions. Creating a process that involves honest feedback and consensus are imperative. The best way to approach this is to form a comprehensive committee that includes key naysayers, antagonists, and resisters. You cannot allow them to continue to be a part of the problem. They must be active contributors to a solution. Present the data, supporting research, and together build a shared vision and strategic plan for the identified change. Be prepared though to make some tough decisions. Going back to the grading example, we openly discussed and agreed on a failure floor, no zeros, and a process of retakes/redos. However, I then established seven criteria that had to be supported with evidence before any student could receive a failing quarter grade. You can see the resulting document HERE. Accountability was ensured as I reviewed all quarter failures and asked for the evidence that everything was done to help students succeed. Ask better questions to determine what needs to change. Don't ask educators in your school or community how well you are meeting the needs of today's learner. Instead, ask your learners how well you school is meeting their needs. 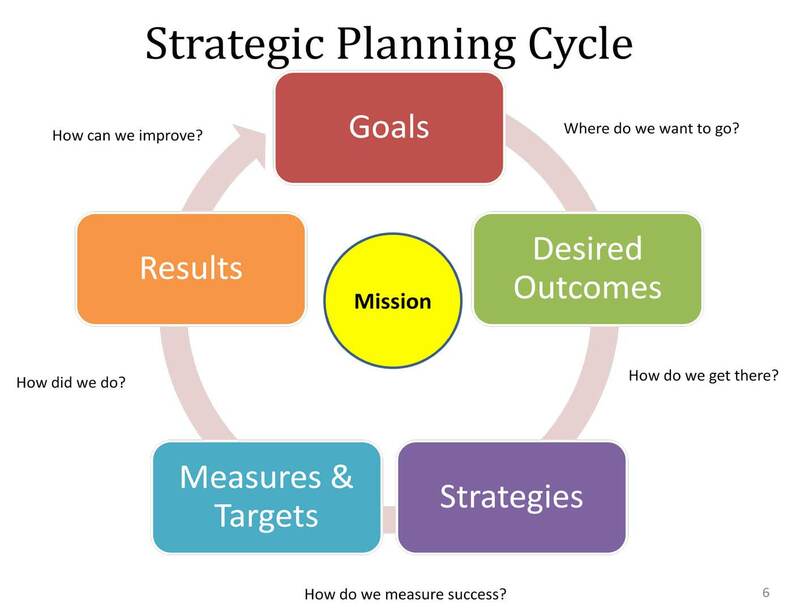 In the end, a strategic plan for change should bear positive results. If the results are not what you expect then re-evaluate to improve as opposed to scrapping the idea and giving up. Referring to the grading example one last time, over the course of three years we reduced our student failures by 75% while also increasing graduation and attendance rates as well as standardized test scores. This change process recipe can be applied to virtually any initiative from homework to mobile learning (BYOD, 1:1), to changes to the school schedule, and anything else. It all comes down to leadership and the will to improve in order to create a better learning culture for all students. As of late I have been engaged in a great amount of work either assisting districts and schools as they begin to implement mobile learning (1:1, BYOD) or helping them get their programs on track. Over six and a half years ago I helped successfully implement a Bring Your Own Device initiative in my school. Not only were we the first to do it in my state, but there weren't many great examples to pull from at the time. Thus, many lessons were learned the hard way. 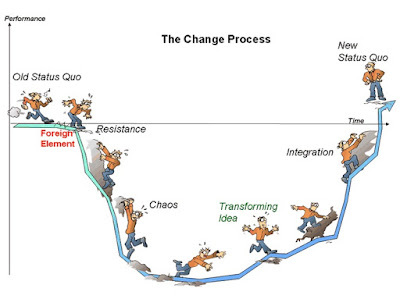 It is important to remember that change has to be treated like a process as opposed to one single event. The success of mobile learning relies on proper planning, reflection, and evaluation to improve. The key to successfully implementing sustainable change begins with asking the right question(s). Below are some questions to help you ascertain where you are, but more importantly, where you want to be with either 1:1 or BYOD. Is your infrastructure ready? Has an infrastructure audit been completed? Have you developed a shared vision that takes into account staff, student, and community input? For success, all stakeholders must be on board and have clear outcomes developed. 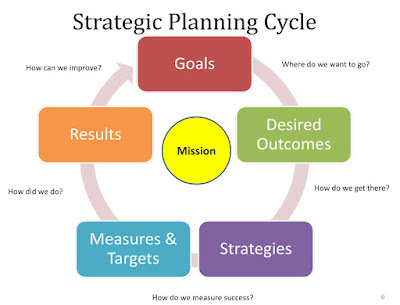 Have you developed a strategic plan to ensure the initiative will positively impact student learning? How will you measure success and evaluate effectiveness? Has curriculum been updated and other resources explored? Have you created policies that protect students and staff while promoting creativity? Has staff been trained in digital pedagogy (lesson/project design, assessment, etc.)? Do they possess the confidence to integrate the devices with purpose to support/enhance learning? Have administrators been trained on digital pedagogical techniques in order to provide valuable feedback to staff? Have fears and challenges been addressed? How will equity be ensured in a BYOD environment? What will you do if students forget their devices, don’t have them, or have no access to WiFi outside of school? Has a plan been developed to train students? What will be done to educate parents? How will you build community support? What evidence will be provided to the BOE and community that the initiative is a success? Determine where you want to be and how you are going to get there with your mobile initiative. Once you have answers to the previous questions reflect on the drivers of a successful mobile learning initiative to ensure that the stage is set for improved student learning outcomes.